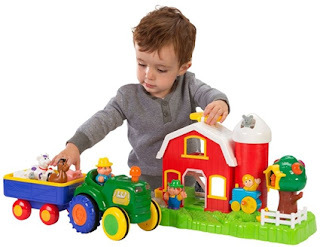 Since learning to be and becoming a speech-language therapist, I am frequently asked by parents what toys I recommend their children to play with in order to help them improve their speech and language skills. 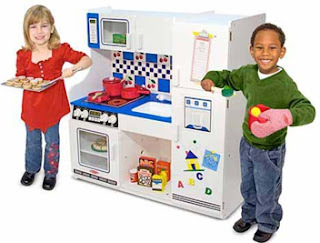 Not all toys available in the speech therapy session are readily available nor sometimes affordable to all the parents out there. And not all parents are willing to search and hunt for that one toy their children adores during speech therapy sessions. 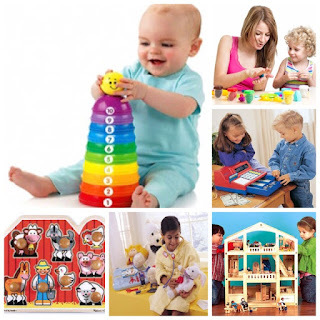 In this post, I will be sharing with you some easy-to-access and mostly available toys in the market which can help support the development of speech and language in children. However, it is IMPORTANT to know that for these toys to help build up the children’s language skills, it is YOUR role as the parent or caregiver to help facilitate the language the children needs. You cannot just give a child a toy car and expect him to magically know what sounds the car makes or where the wheels are. You need to sit with your child and facilitate his learning by using some strategies that were mentioned before in the previous article, such as parallel talk, repetitions, expansions, etc. Target words such as “more/again”, “Pop!”, “no more!”, “blow!”, etc. Clap your child’s hands together when popping the bubbles and count the bubbles as you pop them. 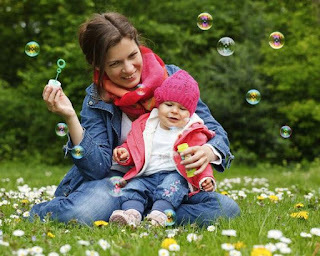 Search for bubbles together by pointing and directing your child’s attention to the bubbles. 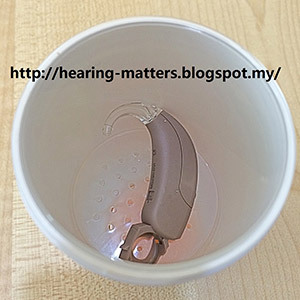 Teach your child meaningful sounds, e.g. “vroom!”, “beep beep!” (car horn), “BANG! !” (accident), etc. When playing with several toy cars using a ramp/roads/etc., you can teach basic concepts such as colours, numbers, size (e.g. big/small), prepositional concepts (e.g. in/on/under/over). Teach part/whole relationships, e.g. “wheels of the car”, “windows”, “doors”, etc. Teach verbs (action words) when describing actions, e.g. “Go!”, “Stop!”, “drive”, etc. Teach adjectives when describing words, e.g. “slow”, “fast”, etc. You can also work on social skills such as turn taking. You can say “my turn!” and “your turn!” when taking turns to race the cars or put cars down a ramp. Teach your child to answer “wh”-questions (who, what, where, why, when, how). E.g. “who is driving the car?”, “what colour is the car?”, “where is the car?”, etc. Teach action words, e.g. “throw!”, “kick!”, “bounce!”, etc. Teach basic concepts such as colours, numbers, size (big/small) using different-sized/coloured balls and prepositional concepts (e.g. in/on/through/over) when playing the balls with basketball hoops/baskets/tunnels/boxes/etc. Teach tactile concepts, e.g. hard, soft, bumpy, smooth,etc. Teach social skills such as turn-taking, waiting, looking at the person who throws/catches the ball. Teach basic concepts such as colours, numbers, size (big/small), and prepositional concepts, e.g. in the oven, on the stove, etc. Teach action words, e.g. “cook”, “eat”, “drink”, “pour”, “take”, etc. 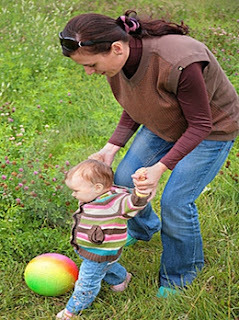 Teach your child to follow directions by asking him/her to do a specific task, e.g. “can you give me a slice of pizza?”, “give mummy the cake”, “feed baby the milk”, etc. 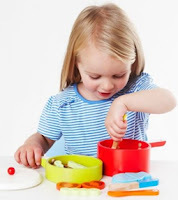 Teach your child to give directions by asking “what do you want me to do?”, “what should I do with the pan?”, “what’s next?”, etc. Teach your child to answer “wh”-questions, e.g. “who wants to eat the cake?”, “what flavour is the cake?”, “where are the plates?”, etc. Teach social skills such as eye contact, turn-taking, joint attention, sharing, asking and answering questions, topic initiation, topic maintenance, topic closure, etc. Teach body parts, e.g. eyes, nose, mouth, ears, hands, fingers, elbows, tummy, knees, feet, toes, etc. Teach clothing items, e.g. shirt, dress, pants, pyjamas, socks, shoes, etc. Teach basic concepts such as prepositions, e.g. “put baby in the bed”, “sit baby on the chair”, colours and size concepts. Teach action words, e.g. “eat”, “drink”, “sleep”, “sit”, “lie down”, etc. Teach feelings, e.g. “sleepy”, “hungry”, “thirsty”, “tired”, etc. Teach your child to answer “wh”-questions, e.g. “what do you want to feed the baby?”, “where is baby’s tummy?”, “why is baby crying?”, etc. Teach social skills such as greeting (saying “hello”, “good night”, etc. ), turn-taking, joint attention, sharing, asking and answering questions, topic initiation, topic maintenance, topic closure, etc. Teach animal names and the sounds they make (meaningful sounds), e.g. “It’s a cow! Moo moo moo!”, “here’s the dog! Woof woof!”, etc. 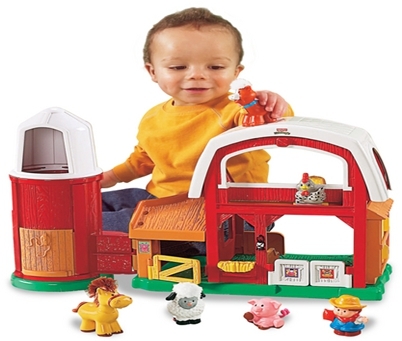 Teach basic concepts such as prepositions when playing with the animals and the barn/pen e.g. “in the barn”, “under the tree”, etc. ; size, colour and number concepts. Teach action words, e.g. “run”, “jump”, “sleep”, “fly”, etc. Teach your child to follow instructions, e.g. “let’s put the cow to sleep”, “give the horse an apple to eat”, etc. Teach your child to give instructions, e.g. “what should the cow do?”, “what do you want me to do?”, etc. Teach your child to answer “wh”-questions, e.g. “who is sleeping?”, “where is the cow?”, “which animal goes baa-baa?”, etc. Teach social skills, such as turn-taking, maintaining eye contact while you play and talk, joint attention, asking and answering questions, etc. In conclusion, when playing with your children it is important to provide them with the language they need by talking with them or commenting on what you/they are doing. 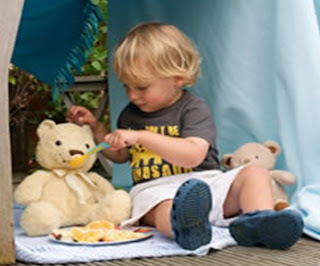 However, it is also important to note that while talking is essential, it is equally important that you give a chance to your child to respond by waiting and looking expectantly at them for their response. Choose and target words/concepts/skills you want to teach to your children during a specific play activity, e.g. cooking, and repeat consistently until you are confident that your children have mastered them and move on to teaching more complex concepts/skills. Last but not least, have fun playing!! !